Thanksgiving is a fantastic opportunity to wow friends and family with the possibilities of whole-food, plant-based cooking. From sweet to savory, refreshing to robust, this colorful feast covers all the bases. 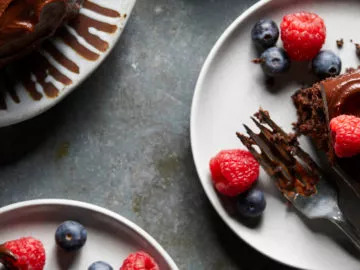 An added plus: These dishes can be partly or fully prepared in advance, so you can spend less time in the kitchen and more time enjoying the company on the big day. 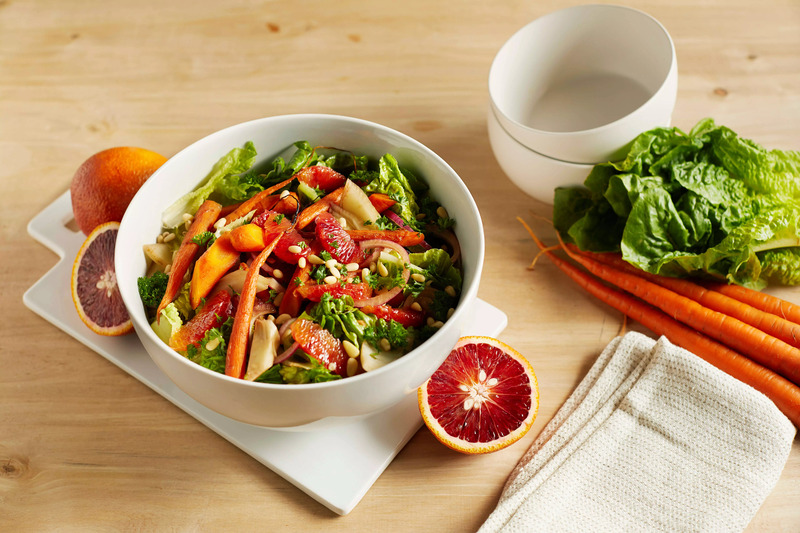 Roasted Carrot and Fennel Salad Blood oranges add a bold pop of fall color to this salad. The carrots and fennel, sweet from roasting, balance perfectly with the tangy flavors of the dressing and oranges. Full recipe here. Autumn Butternut Squash Soup With a smooth butternut base, this is one of those perfect fall soups that nourishes both body and soul. Full recipe here. Rosemary-Garlic Biscuits These yummy biscuits offer a much healthier alternative to traditional biscuits, which are typically loaded with butter. Full recipe here. 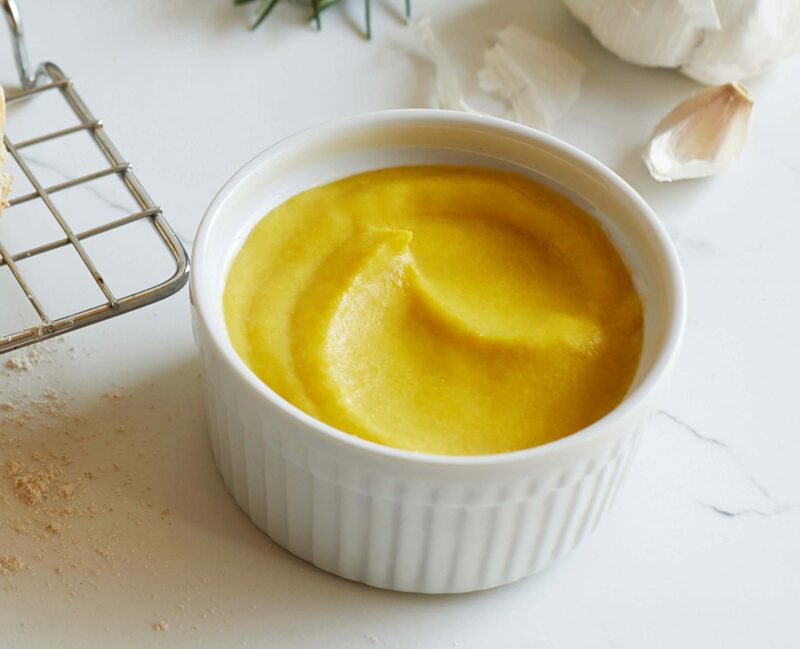 Creamy Corn Butter Corn butter is the whole-food, plant-based alternative to butter you didn’t know you needed. If you haven’t tried it yet, now’s the time to see what you’ve been missing. Serve with Rosemary-Garlic Biscuits. Full recipe here. Cranberry-Orange Sauce A Thanksgiving essential taken to new heights: Clementines enhance the flavor and beets amp up the color. Full recipe here. Cheesy Kidney Bean and Rice Casserole Though this is a big casserole, don’t count on having leftovers: Guests will want extra helpings of this creamy, savory goodness. Full recipe here. Chocolate Mousse Pie This beautiful no-bake pie is an ideal make-ahead dish. Full recipe here.